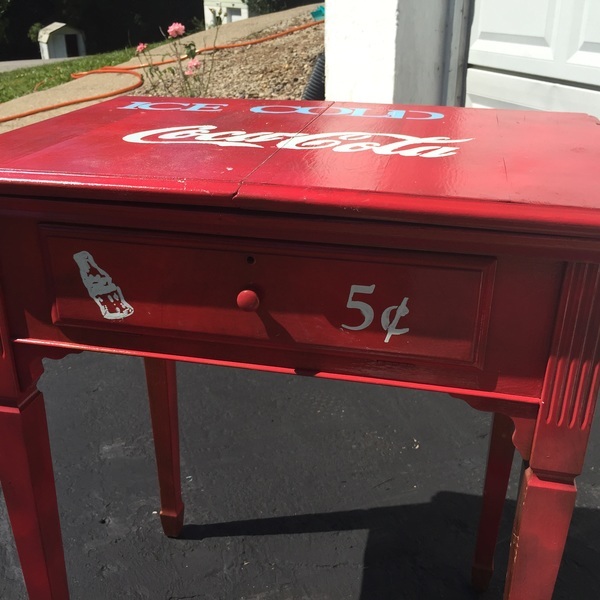 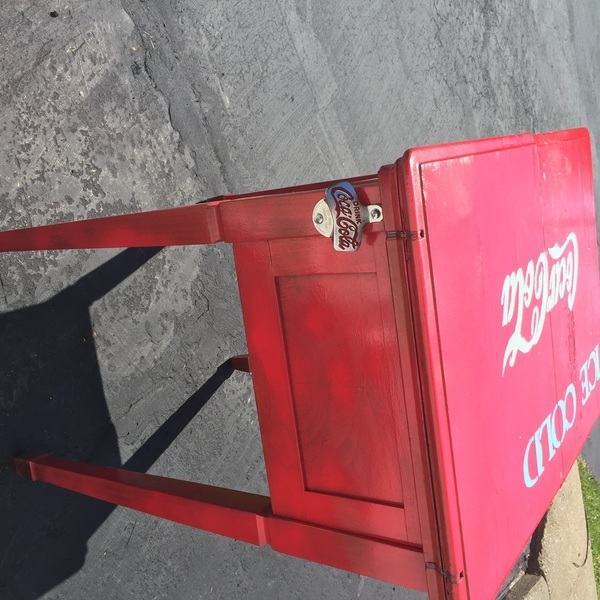 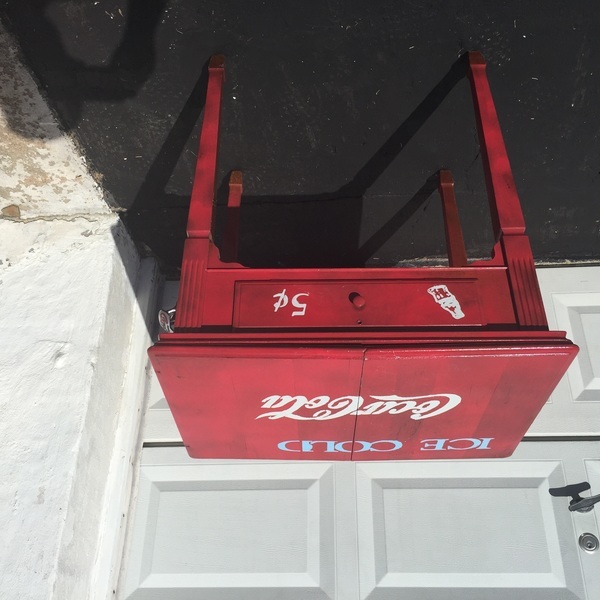 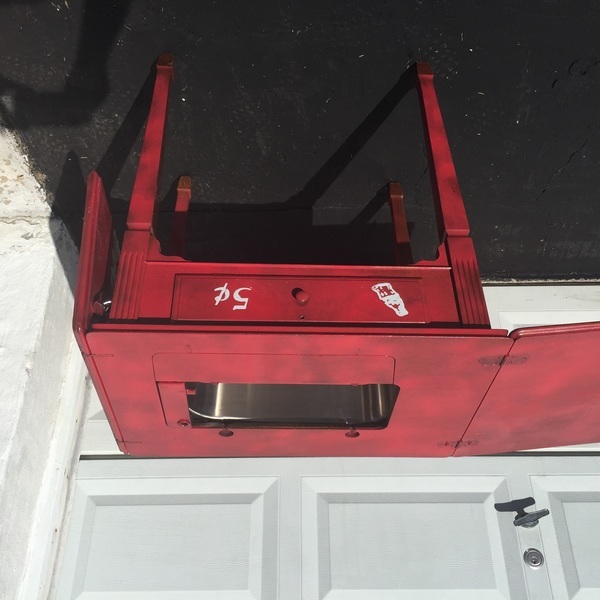 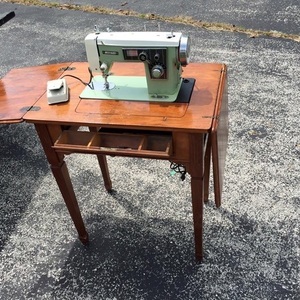 I turned this old sewing table into a Coca-Cola themed beverage cart. When it is not in use it makes a decorative side table. Then the top folds out to show a stainless steel sink that's great for holding ice and cold drinks.